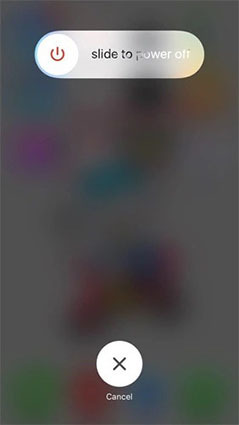 The appearance of apple logo on the screen is the most common issue that many iPhone users may meet. Especially for those who have recently bought the new brand device, they can easily get iPhone 7/7 Plus stuck at apple logo after jailbreak or restoring. The apple logo stuck is like a heart attack for iPhone, you cannot call text anybody else, call others, or take a picture with it. When apple logo appears, your precious device totally becomes a junk. There are three methods recommend to fix stuck at apple screen on iPhone 7/7 Plus as well as iPhone XS/XS Max/XR/X/8/6s/6/5s/5, iPad, iPod touch after update, jailbreak, water damage and more. Press the 'Volume Down' and 'Power' buttons at a time for a while. Now, you can see the Apple logo glowing on screen. When an iPhone stuck on Apple logo and won't turn on, most people have no idea to repair it. That's why we highly recommend Tenorshare ReiBoot, the best iPhone repair software to you. This iOS system recovery tool offers you the most effective way to fix iOS stuck issues such as white apple screen, black screen of death, recovery mode, screen unresponsive and more. Free download this iOS fix tool to see more functions of it. Step 1. 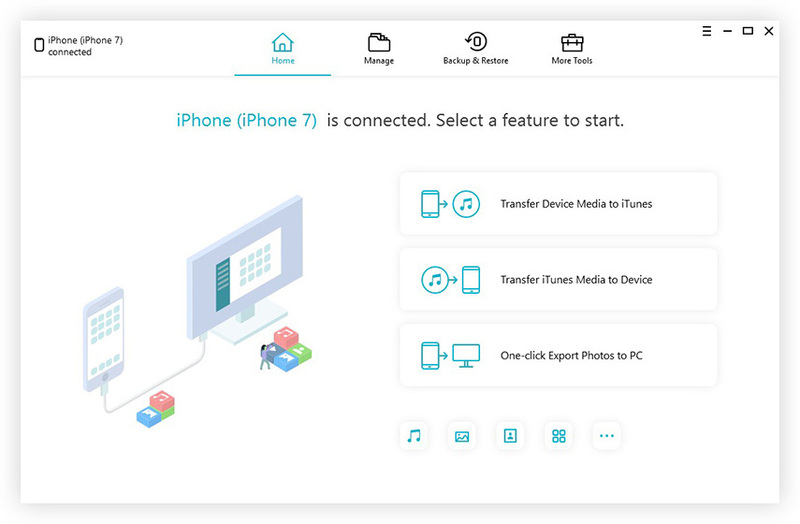 Download and install Tenorshare ReiBoot to computer and connect your stuck iPhone to computer with USB cable. Choose Repair Operating System and then Start Repair according to the iOS of your device. Step 2. ReiBoot will display the matching firmware package for downloading. Please download the IPSW file and follow the steps to repairing iOS system of your device. Step 3. After system recovery, your iPhone 7 will get out of apple logo stuck and all data is kept fine in your phone. This is another simple method to get your stuck issues repaired. This will erase all your iPhone data, so backup with iCareFone before restoring. Step 1: Run iTunes on your computer and connect iPhone to computer, click on the iPhone icon and select "Summary". Step 2: Then choose "Restore iPhone" to restore iPhone to factory settings. DFU stands for Default Firmware Update, it is also one of the easy ways to get apple logo stuck issue fixed on iPhone. Just follow the steps given below. Note: DFU mode clears all device data, you can backup your iPhone 7 beforehand using iCareFone. Step 1:	Run the latest version of iTunes on your computer and get the iPhone 7 connected to it. Step 2:	Press the 'Power' and 'Volume Down' buttons at a time for 10 seconds. Now, leave the 'Power' button while holding the 'Volume Down' button for 5 seconds longer. 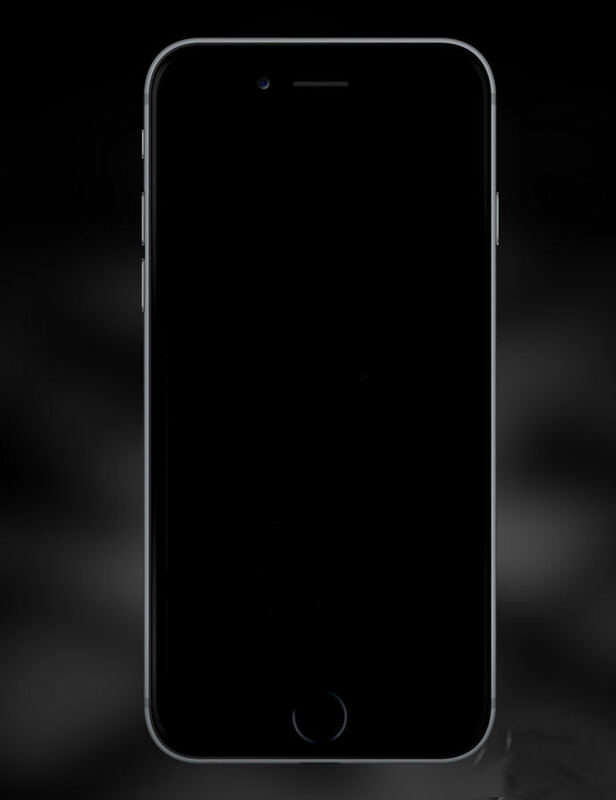 Step 3: The iPhone 7/7 Plus screen turns black and you will see iTunes pop up on your computer notifying iPhone in DFU mode. This will restore and reset your iPhone's firmware completely. This method works on the most times, but if you want to fix iphone stuck at white apple logo without restoring and any data loss, the ReiBoot will be your favorite choice. The methods mentioned above are the common and effective ways for fixing and repairing iPhone 7/7 stuck in apple logo screen problem, choose the one that suits your particular case and make your device run normally.